I've been on the hunt for a fall wreath for quite sometime, but I was not having much luck. The wreaths I found were either super expensive or kinda cheesy (fake leaves & plastic flowers aren't really my thing!). 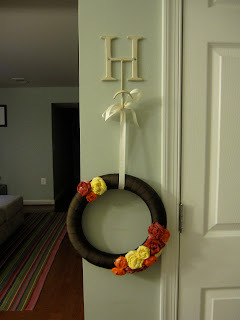 But then I found these two tutorials: Fall Rosette Wreath & Frayed Rosettes. 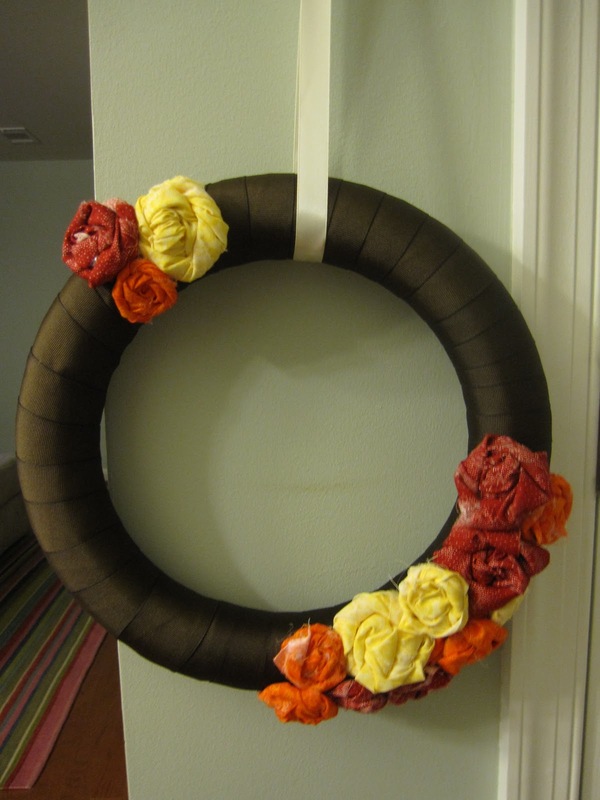 The best part about this wreath is that I made it for under $20. If you have random scraps of fabic, try this! 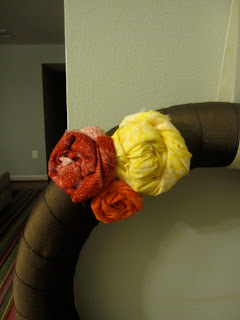 There are so many possibilities with these rosettes. I think I'm going to try this necklace next! Here is a tutorial if you want to join me! loooooovee! adorable. you've inspired me to try! that is very cute. hmmmmmm. 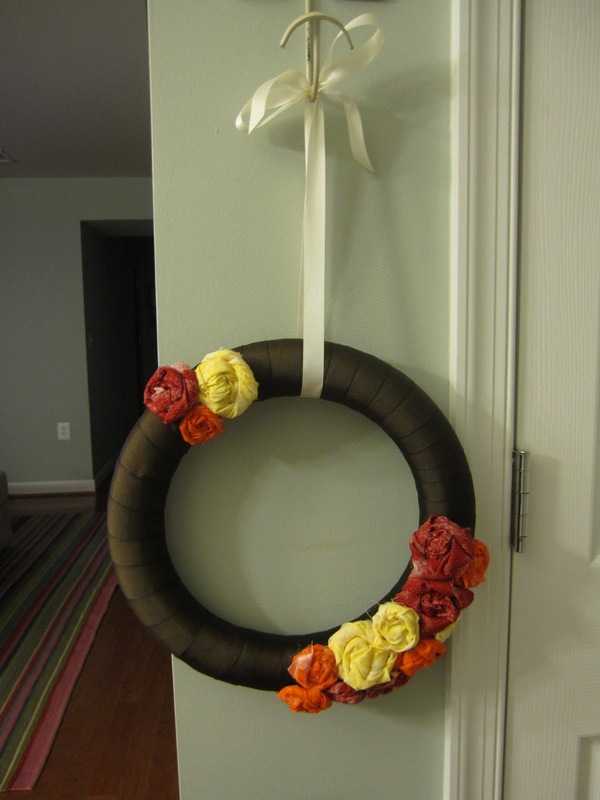 i think i might have to make one for the holidays. This turned out beautiful! I love the colors you chose. Great job!